He then predicted, based on the height of the wasp nest, that there would be a lot of snow this winter. Well, he prediction was true! 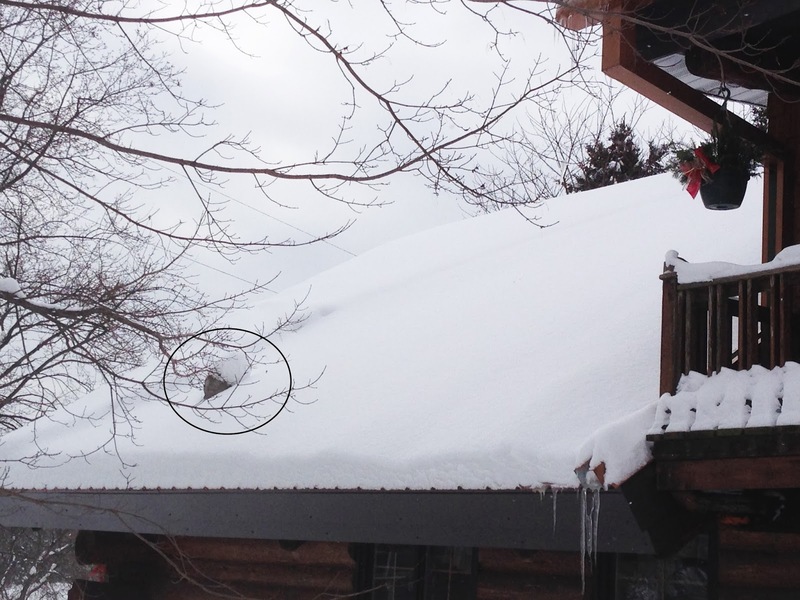 Here is an updated picture of the wasp nest buried in snow. See the nest? Barely, right? And let me tell you, the snow is so beautiful, maybe the best we have had in years. It’s really too bad it’s been so cold, but we promise you’ll still have a good time at The Farm this March. Mostly because it’s just beautiful. We haven’t had a single meltdown. And we have a lot of fireplaces and comfort food to warm the soul. So come out to The Farm March 7th-9th and save 25% off your lodging. Any cabin. Any number of people. It’s supposed to be warmer, and it might be many years until we have snow this beautiful again. So come take advantage of this deal! Hope to see you soon on The Farm!